Simply defined, a conservation easement is a restriction on the use of property similar to a deed restriction. It is recorded in public records and generally is in perpetuity. As a landowner, you also have the ability to sell some of these rights while maintaining ownership of the land. This is generally known as selling a “less-than-fee” interest. For the sake of this post, we are using the term conservation easement. When you choose to give up some of these rights, either by donation or sale, you are compensated. The more rights you relinquish to the recipient, the more compensation you’ll receive, either by tax benefits or direct dollars, or both. Why Would a Landowner Want a Conservation Easement? With the tourism and population boom in Florida, land is more valuable than ever. 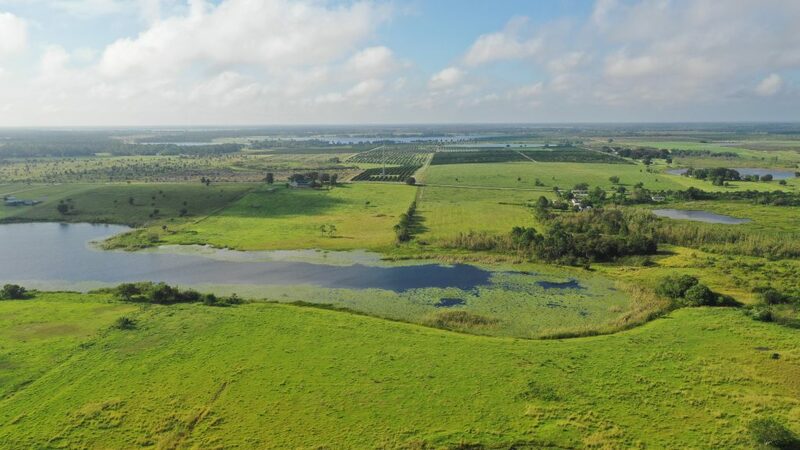 Some landowners would like to preserve the beauty and function of their land while also profiting from increased property values tied to Florida growth. Others want their land to stay in the family, but worry that estate taxes will force their heirs to sell in the future. Keep the land safely preserved in its natural state as a high-quality resource Florida wildlife. Reserve the property for continued agricultural use. Realize an influx of capital without having to sell the property for development. A conservation easement can be a great solution for landowners. Dean Saunders, broker and founder of Coldwell Banker Commercial Saunders Real Estate, helped to create Florida’s conservation easement legislation almost 25 years ago and today there are several programs run by the state. Conservation easements offered a solution for everyone, the state, the landowner and environment interests. Landowners who sell conservation easements retain control and ownership of the property and receive money for the easement. The government also receives assurance that the valuable land will be protected from future development. There are also many potential tax benefits derived from conservation easements. Click here to read more.